Wednesday 4th November 2015, 6:30 pm. Speaker: Jos Creese, BCS President. For quite a long time we’ve seen IT change our organisations, and nowhere more than in government, where IT is shaping how modern public services should function in a digital world. More recently, with the immense pressure to cut costs, the opportunity of technology to transform the public sector is arguably the best chance we have to protect critical services such as Health, Social Care and Public Protection. Reform of public services to be better in tune with the needs of citizens. Helping to shape and stimulate tech markets to create a vibrant economy. Seizing the opportunity of IT for social benefit and equality of opportunity. BCS has a part to play in this. As president of BCS my role is to help the Executive Team to deliver our new strategy and to represent and champion members’ interests. But my role is also to use our combined influence to shape the future and ‘make IT good for society’. My talk will be a challenging review of the opportunities for technology in Scotland, challenging assumptions about the role of the State and promoting the role of IT professionals in this reform – in Scotland and beyond. With over 25 years IT leadership experience, Jos has held a number of CIO roles and a variety of non-executive director positions. 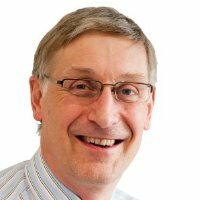 He is a past president of the Society of IT Management and is the current president of the BCS, the Chartered Institute for IT. For 14 years Jos was CIO and latterly CDO and digital advisor for Hampshire County Council. Now operating as an independent consultant, he advises public and private sectors on digital and IT strategies. His experience includes major organisational mergers, national and international IT programmes, the sale of an IT company and the development of a range of ground-breaking shared services across the public sector. He has been named as the ‘most influential and innovative CIO’ in the UK in the ‘Silicon 50’ CIO survey and has been included in the ‘Top 100 CIO’ list since its inception.